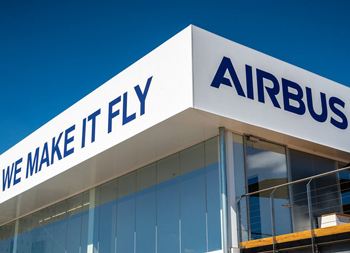 Airbus came into the show already with 177 Single Aisle and 84 Widebody orders in 2018, complemented by a pre-show order for 60 A220-300s, the latter bringing the pre-show intake to 321 aircraft. Boeing strengthened its position as the global leader of the aerospace industry, booking historic orders and showcasing its innovation and strategy for growth at the Farnborough International Airshow. Boeing and British Airways today announced a commitment for three 777-300ER (Extended Range) airplanes. British Airways will take the 777s on an operating lease with a leasing company. CFM International announced orders and commitments for just over 858 LEAP and CFM56 engines at the 2018 Farnborough Airshow, in addition to long-term services agreements, at a total value of $15.7 billion U.S. list price. Boeing and Dubai-based aircraft lessor, Novus Aviation Capital, announced its first direct agreement with Boeing for up to four 777-300ERs (Extended Range) at the 2018 Farnborough International Airshow. GE Aviation delivered a custom built used CF6-80C2 engine to 3TOP Aviation Services late last month as part of its TrueChoice Transitions agreement. Pratt & Whitney, a division of United Technologies Corp., and CALC (China Aircraft Leasing Group Holdings Limited; HKEx: 1848) today announced the signing of a contract for Pratt & Whitney engines to power 18 firm A320neo family aircraft. Hong Kong-based China Aircraft Leasing Company (CALC – 1848.HK) today announced that it has selected CFM International's advanced LEAP-1A engine to power 17 firm and up to 50 option new Airbus A320neo family aircraft. 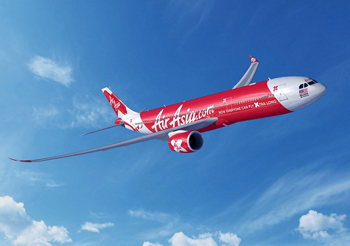 Boeing [NYSE:BA] and Hawaiian Airlines announced the companies finalized an order yesterday for 10 787-9 Dreamliners, valued at $2.82 billion at list prices. 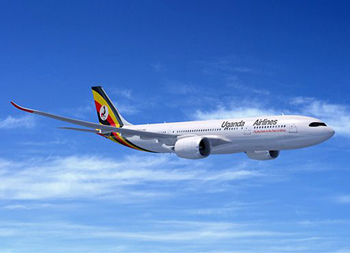 The deal also includes purchase rights for 10 additional 787s. Boeing [NYSE: BA] and an unidentified customer reached an agreement during the 2018 Farnborough International Airshow for an additional 100 737 MAX airplanes, the company announced. 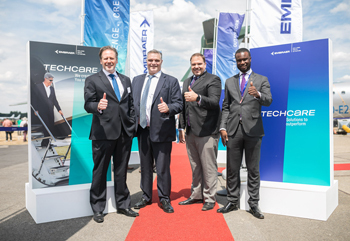 Embraer and Kenya Airways announced today at the 2018 Farnborough Airshow the signing of a multi-year contract for the Embraer Collaborative Inventory Planning (ECIP) program. 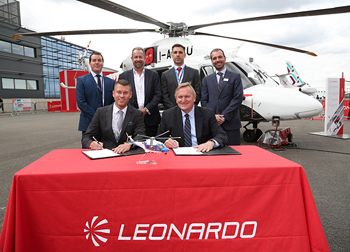 Leonardo and official distributor in UK Sloane Helicopters (Sloane) announced today that QME Mining Equipment Ltd (QME) of Ireland, a leading company in the supply of complete solutions to the Mining and Tunnelling industries worldwide, has signed a contract for an AW109 GrandNew helicopter. 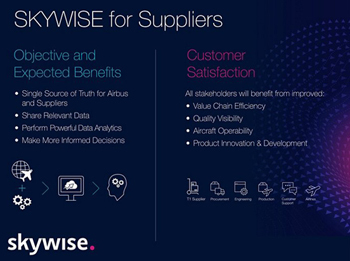 Building on the successful launch of the Skywise open data platform for airlines at the Paris Air Show in 2017, Airbus is now extending the scope of cloud-based big-data analytics into the supply chain. 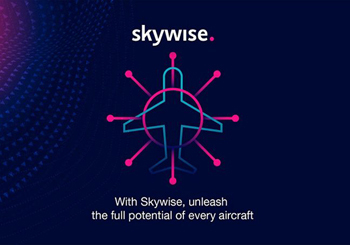 Liebherr-Aerospace is collaborating with Airbus to launch new pilot projects on the new aviation data platform, Skywise. 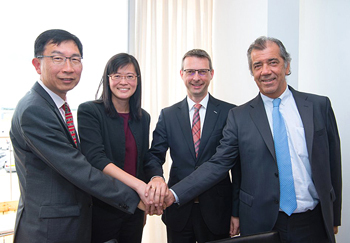 Liebherr-Aerospace and Airbus embarked on a series of pilot projects toassess the potential of big data coupled withthe knowledge of Liebherr-Aerospace. 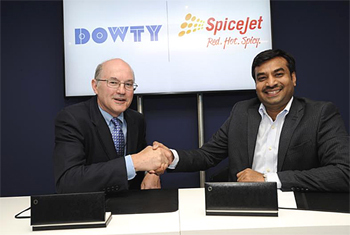 Dowty Propellers today extended its support contract for propeller systems on SpiceJet's Bombardier Q400 regional airliner fleet, which the Indian carrier is expanding with the purchase of 25 additional twin-engine aircraft. 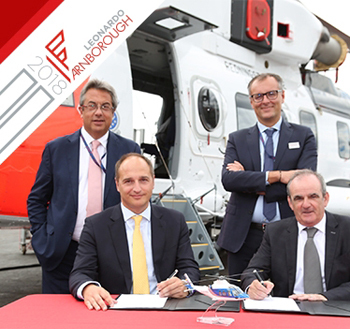 Leonardo is pleased to announce that Magpas Air Ambulance has selected the AW169 as its new generation helicopter. 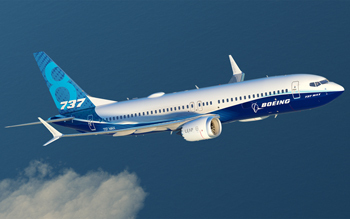 Boeing and four customers have signed commitments for a total of 93 737 MAX airplanes, including a carrier that has committed to 40 of the high-capacity version of the MAX 8 airplane. 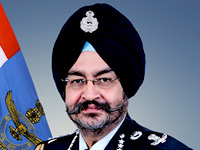 A Memorandum of Understanding to partner on digital service solutions was signed by Singapore's Defence Science and Technology Agency (DSTA) and Rolls-Royce at the Farnborough Airshow, United Kingdom, today. 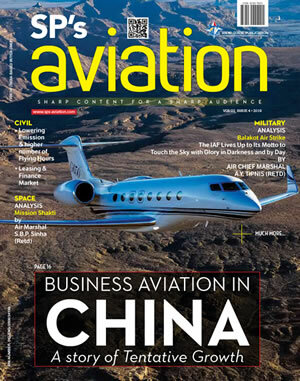 Goshawk Aviation Limited and CFM International have concluded an agreement for the purchase of LEAP-1B engines to power 20 new Boeing 737 MAX 8 airplanes in an order valued at $580 million U.S. at list price. After almost eight years of cooperation, ATR and the Brazilian carrier Azul today announced the renewal of their Global Maintenance Agreement (GMA). 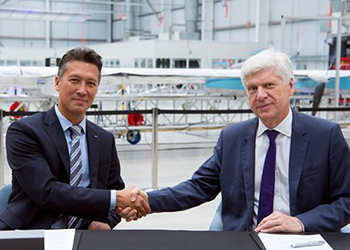 Colombian airline EasyFly and market-leading turboprop manufacturer ATR today signed a Memorandum of Understanding for the purchase of five ATR -600 series aircraft, of which three are ATR 72-600s and two are ATR 42-600s. Mexico's flag carrier, Aeromexico, has signed a 12-years Rate Per Flight Hour agreement with CFM Services to support a minimum of 128 LEAP-1B engines that power its fleet of Boeing 737 MAX 8 and MAX 9 airplanes. 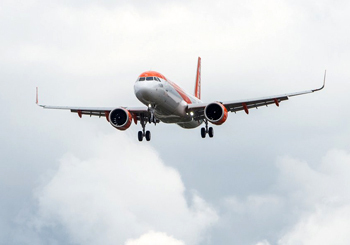 easyJet today took delivery of its first A321neo aircraft, marking the milestone with a flight into Farnborough International Airshow today. Dowty Propellers today announced an agreement establishing Ethiopian Airlines as an authorized repair and overhaul facility in Africa for propellers on Bombardier Dash 8 Q400 regional airliners. Europrop International GmbH (EPI) has completed the assembly of the 400th TP400 engine in Munich where its final assembly line is located. Bombardier Commercial Aircraft announced today that it has signed a firm order for four new CRJ900 regional jets with Uganda National Airlines Company. 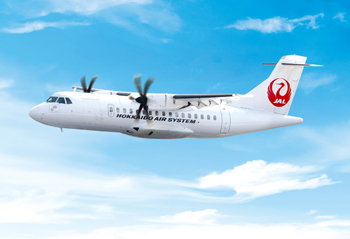 Hokkaido Air System Co., Ltd (HAC), a JAL Group Company and ATR have signed a Memorandum of Understanding for the purchase of two firm ATR 42-600s with an option for a third. HAC will begin operating these aircraft from 2020. 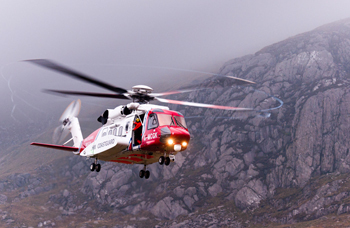 Sikorsky, a Lockheed Martin company, today celebrated 35 years of partnership with the UK Maritime & Coastguard Agency (MCA) and honored recent heroic lifesaving efforts of the MCA.